AYYYY to these previews with Pi Delta Psi on Sunday! Much more epicness to come! Ayyyy! Epic group shot behind Old Main on a perfect day! Active E-Board -- amazing group of guys who are already great leaders in many ways! What whaaat - meet the neos!!! Alumni came back to party with and support the actives! Love the community they have with each other! Last night, we had the gift of spending the evening with the brothers of Pi Delta Psi during their end-of-semester banquet. Quite a few alumni returned to celebrate, which made for a great, and truly meaningful time together. I won't say who, but some people were moved to tears by the awesomeness of it all...because truly, it was awesome. Here are just two of the group shots for now; more to come later! A group photo with their awesome advisor, Alex Yin. More snaps of their friendship will come in the full blog; for now, here are some portraits of Sophia to celebrate her college graduation! It's finally Spring here in State College, and Graduation Season is upon us! All over campus, photographers and seniors are bustling with creative energy to capture celebratory memories in their favorite spots. We love our student community here at Penn State, and we love pushing our creative boundaries when it comes to capturing students' personalities and joys! I met Nancy during my floor-days at Irving's -- she would always come in during my closing shifts to get a sandwich and a mocha for dinner. Through her visits, we became friends and began to hang out outside of work and get to know each other. Nancy struck me immediately as a bright and kind person who is incredibly astute and ready for life. 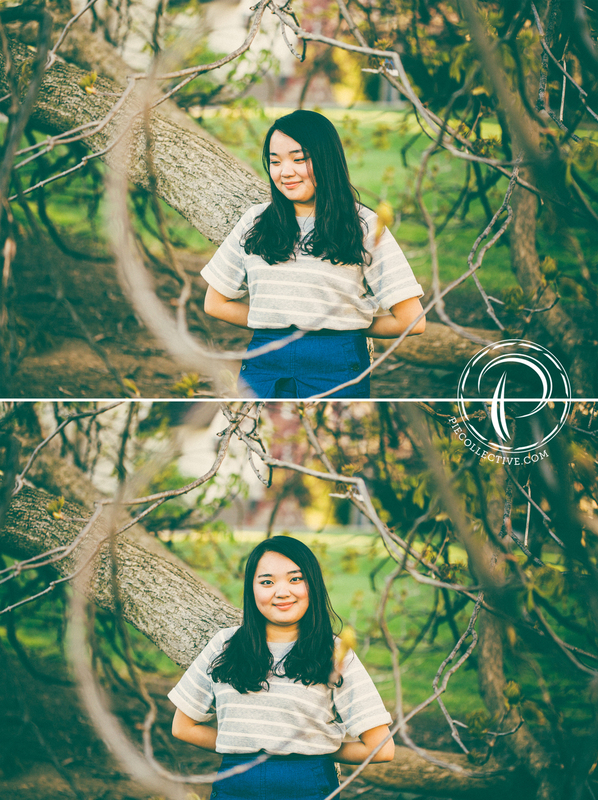 When she contacted me about making Graduation portraits for her and her friends, I knew I wanted to create something lively and colorful for them! Basking in the afternoon light outside the Pattee/Paterno library, where these beautiful friends spent a lot of their times. Perfect timing for those pale blossoms! Nancy is such a natural at these lifestyle looks! We will continue to walk through life together. Last week, we had the pleasure of meeting the gorgeous little Laciana, firstborn to Jonathan and Brooke! Here are some of their moments...enjoy! Leave a comment and share away!